I have been a medium and a psychic for many year now. I give psychic readings to client who come for readings. 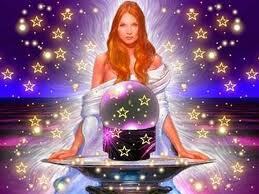 I also give psychic readings at various venues in and around London. I am at Rochester Square Spiritualist Temple quite often to give readings. When a client comes to me for a reading they must remember that I am only a channel for a the psychic energy that comes through the universe. This means that you may not get the answer you want but the answer to need to hear at the present time. In addition I try to pass the message directly, so it may make more sense to you than me. A psychic readings can help you gain insight into your life purpose, relationships, career paths, make decisions, unravel your past and many other aspects of your life. I usually ask the clients to come with a list of questions that they want answered. I usually also record the session as so much information is channelled and it is usually useful to go back on what was said.